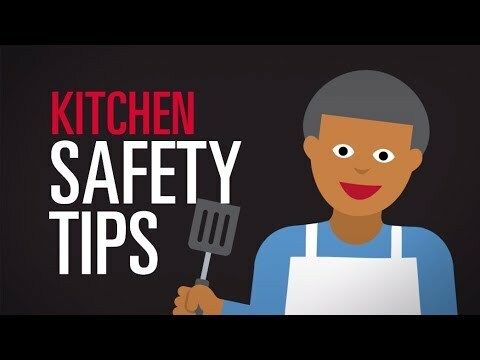 You already know kitchen safety is important — but you might not know how frequently kitchen mishaps happen. Cooking fires are the leading cause of home fires in the U.S. If a stove top fire starts, turn off the burner. Cover a grease stove top fire with a lid (water can spread the fire). Wash counter tops, cutting boards and utensils with hot soapy water when switching from one food to another. Disinfect counter tops and cutting boards regularly. Use 1 tablespoon of chlorine bleach per 1 gallon of water. Let sit for several minutes. Rinse thoroughly.